The lack qualitative and effective heating equipments in workshop at cold season can became the serious obstruction in a work. The heating of workshop is a necessity, because workers deserve for comfortable working conditions, and clients want to return to warm atmosphere. Among ways by which the owners heat their workshops it’s possible to meet the most different variants, beginning from heaters, working at used oil and ending the heat guns. It’s often on the thematic forums create the requests about the organization of heating of workshop by their hands, however in this case a wish to save on qualify help can bring to serious defaults in accident prevention, and also to other emergent problems. The heating in the workshops should be selected pushing off from different criteria, for example from the presence of material which it’s possible to use, from the duration of installation process or from the specific of premise. The presence of such demands as quick mounting and dismounting of the system, the possibility of exact setting the temperature, create microclimate at separate districts and to save at this, certain lead you to choose of infrared electrical heaters. The electrical heating of the workshop as one of the most available and effective – firstly is used for creation of systems of autonomous local heating. The ceiling infrared heaters occupy one of the first places at the installation in industrial spectrum, because they are often used for heating of difficult premises with the necessity of supporting different temperature regimes at big loadings (high heat losses, not heated building). The heating of the garage-workshop is the bright example of such premise, because the construction and specific of work doesn’t allow the heat to stay there. Their peculiarities will have the heating in carpenter’s workshop, where constantly leading the work with wood, that demands high attention to the safety measures and the temperature regime of premise. The company “Ukrprom” is specialized at the creation of infrared heating systems and developed as the household so the industrial infrared heaters. The heating of workshop with the help of infrared heaters allow to create the flexible system of heating, due to this the temperature is possible to set depending on day time and season, control the heat emission in different zones. For this to infrared heaters connected thermo regulators, which allow precisely set the temperature. Our specialists will calculate the heating in workshop in such a way, to giving power of heaters was enough for supporting of necessary temperature and prevention of heat losses, which often arise at using the convective systems of heating. The heating of the workshop with a help of IR rays doesn’t bring to drying of air and decreasing the level of humidity that especially should be taken into account when you choose the heating for carpenter’s workshop. The infrared panels TM TeploV – is a Ukrainian product, recognized in the European market. We realize the selection and installation of infrared heating systems not only in Ukraine, but in Germany, Lithuania, Poland. 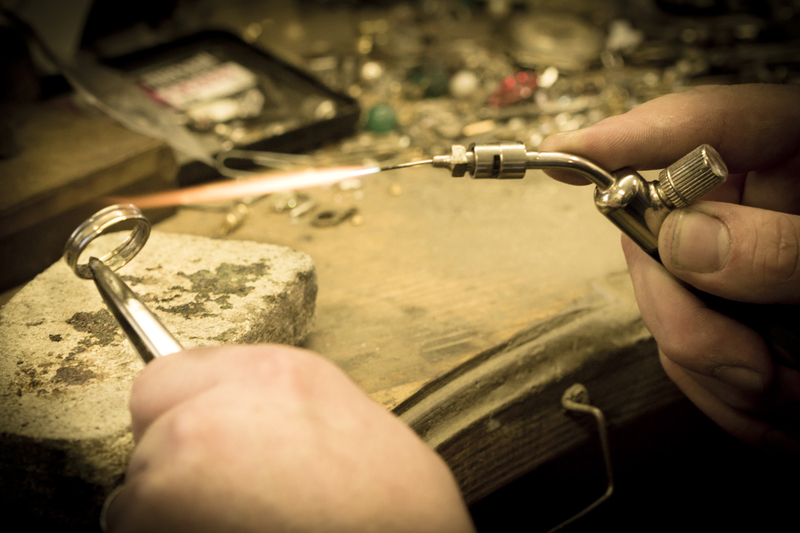 The heating of jeweler workshop in Lithuania is a bright example of using the IR heaters Teplov for creation the necessary temperature regime in premise, where lead the specific works. The heating of workshop in this case was created with a help of 2 heaters Teplov B600 and one heater Teplov B1000. the using of household heaters (row B) helps to create the equal heating in the workshop with an area 26 m2at whole perimeter and also qualitative to heat working places. The unique method of work the IR rays give the opportunity to save at spends on heating 40-70% in comparison with other heating systems. And due to Ukrainian production you’ll get the European quality on our prices.